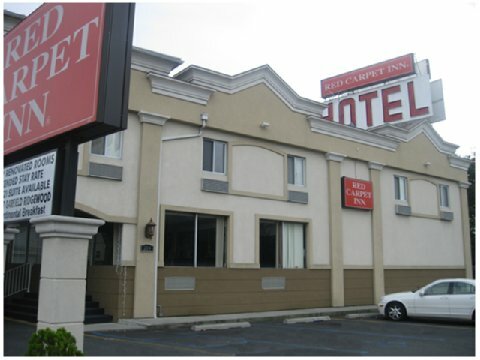 Our hotel is located off Route 46 Highway, 10 miles from George Washington Bridge in New York City, easy access to Garden State Parkway, Route 80, Route 21, Route 17, and Route 23. For meals you can choose from many restaurants nearby such as the 24 hour diner or Donut Place. Come stay with us for an enjoyable, relaxing stay with us. Visit Meadowlands Sports Complex for football and basketball games, or museums, or state banks. Enjoy 3 HBO movies, ESPN, and other channels on the 27 inch color remote televisions. MUST PRESENT VALID DISCOUNT CARDS TO RECEIVE DISCOUNTS. CREDIT CARD WILL BE CHARGED IMMEDIATELY UPON RECEIPT. THERE WILL BE A $10.00 CANCELLATION PENALTY CHARGED FOR ALL CANCELLATIONS.